Nature chuckles at our feeble, stumbling efforts at computation. 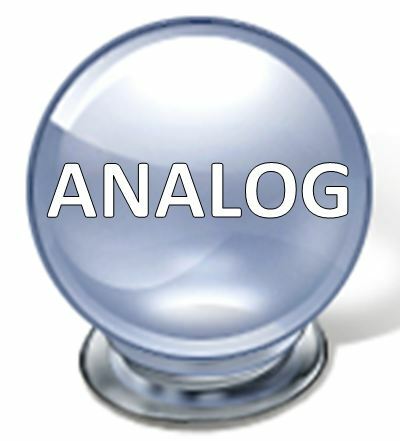 Its analog computing resources effortlessly deliver dazzlingly practical intelligence, even at the sub-microscopic scale, with zero tolerance for wasted energy. Much as he systematically catalogues the shortcomings of human digital technology as he compares it with the majesty of biology’s superhuman computational accomplishments, MIT’s Rahul Sarpeshkar astonishes with the extent to which he and his tirelessly resourceful band of students are somehow managing to learn from and apply nature’s billions of years of accumulated engineering wisdom to countless seemingly intractable problems, like deafness, blindness and paralysis, with a steady stream of successes. Sorry, but this video is one of those ‘you’ll need to let most of it just wash over you’ things: don’t worry about being left behind when the sheer complexity of what he’s trying to explain strays off into unintelligible technical jargon accompanied by unfathomable diagrams. Even the self-selected coterie of Google geniuses in the audience must inevitably have got completely lost at regular intervals, but just like I did (and hopefully, you will) they stuck with it for the breath-taking ride. Buckle up for what is unquestionably one of the most mind-blowing talks you’ll ever watch. Here’s Rahul talking about himself and about those amazing students (I’ve never known a professor to give quite so much of the credit for their achievements to those they’re working with). Google hosted 100 attendees of the 2011 Nat’l Academy of Engineering’s U.S. Frontiers of Engineering symposium (FOE) at our Mountain View office and Dinah’s Garden Hotel in Palo Alto. The symposium is an annual three-day meeting that brings together 100 of the nation’s outstanding young engineers (ages 30-45) from industry, academia, and government to discuss pioneering technical and leading-edge research in various engineering fields and industry sectors. Dr. Rahul Sarpeshkar is an Associate Professor of the Department of Electrical Engineering and Computer at Massachusetts Institute of Technology. His talk discusses how analog, RF, and bio-inspired circuits and architectures have led to and are leading to novel systems for ultra-low-power biomedical applications. Examples from systems for bionic ear processors for the deaf, brain–machine interfaces for the blind and paralyzed, body sensor networks for cardiac monitoring, and in circuits for systems biology and synthetic biology were also presented.